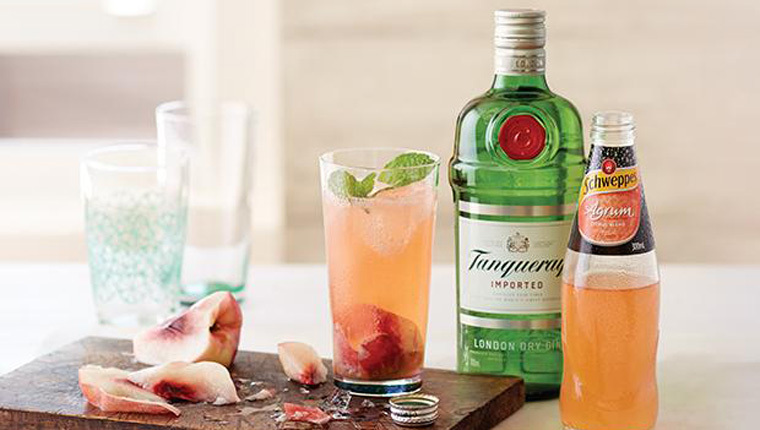 Tanqueray mixed with sliced nectarine and mint, topped with Schweppes Agrum Blend. A delicious gin cocktail with subtle fruity flavours. 1. Gently crush gin, sliced nectarine and mint leaves together in a tall glass with a wooden spoon. 2. Add ice, stir then top with Agrum Citrus Blend.